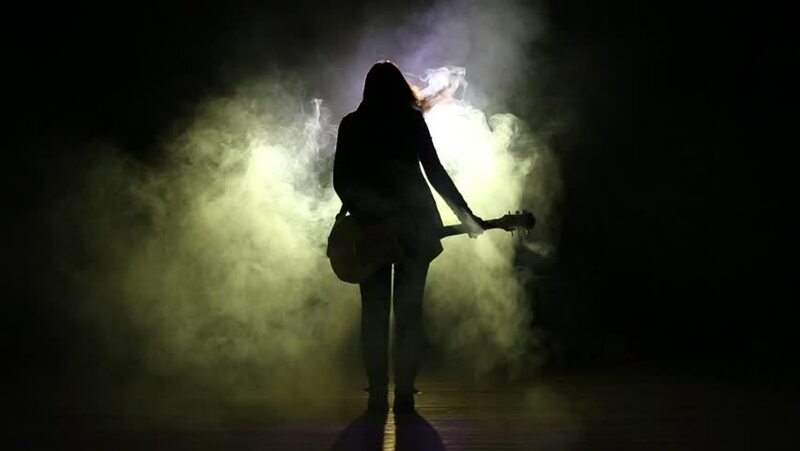 Silhouette of a girl with a guitar plays hard rock. Rock concert, guitarist playing on stage. Music video punk, heavy metal. hd00:11A thick fog surrounds a dancing ballerina.